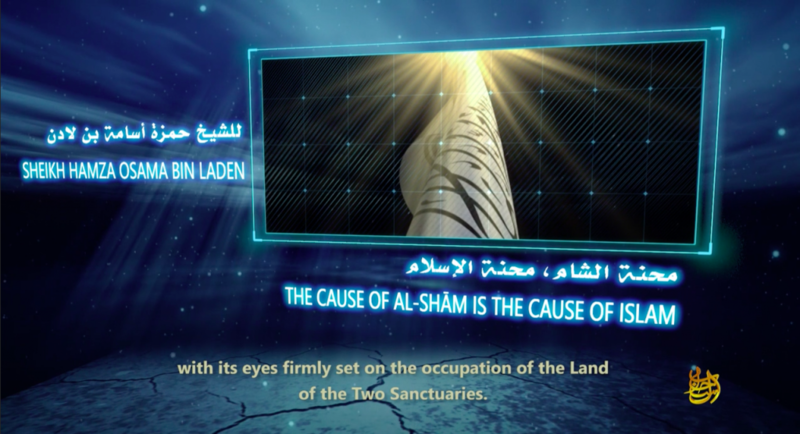 Hamza bin Laden, the son and heir of al Qaeda’s founder, stresses the importance of the war in Syria for the jihadists’ cause in a newly released message titled, “The Cause of al-Shām is the Cause of Islam.” Al Qaeda’s propaganda arm, As Sahab, posted the message online earlier today. 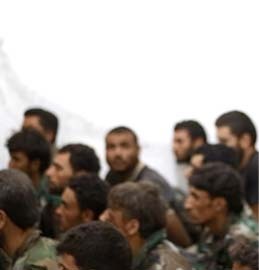 Hamza seeks to boost the morale of the Sunni jihadists fighting multiple enemies inside Syria, praising their “patience” and “endurance.” The mujahideen in Syria are “writing a golden chapter in the contemporary history of the Muslim Ummah (worldwide community of Muslims),” Hamza says. “The enemy does not want to see Islam be established in any form,” Hamza claims, alleging that the West and Iran are jointly opposed to Sunni Muslims throughout the region. 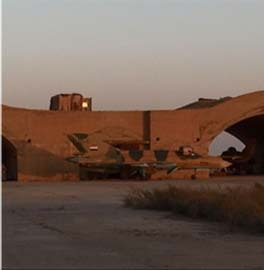 “The Crusader enemy along with its Rafidhi [Shiite] allies are occupying our Islamic lands bit by bit,” Hamza claims. He points to Iraq and Yemen to support his argument, as Iranian-backed forces have advanced in both countries. This same claim has been made by other al Qaeda figures in the past. Hamza alleges that the enemies’ “eyes” are “firmly set on the occupation of the Land of the Two Sanctuaries” in Saudi Arabia. 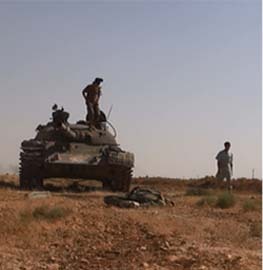 There is more than a hint of worry in Hamza’s words, as the jihadists face multiple enemies, all of whom threaten the Taliban-style state that is slowly being built in the northwestern province of Idlib. Hamza surely knows this. “To enable the Muslims of Shām to stop this International Crusader-Rafidhi aggression, Muslims – all Muslims – must stand shoulder to shoulder with them, and offer all kinds of help, support and encouragement,” Hamza tells listeners. Hamza addresses his “Mujahid brothers in our beloved Shām” multiple times, but he does not name any specific groups or individuals. In Aug. 2015, Hamza lauded Abu Muhammad al Julani, the emir of Al Nusrah Front, as the “bold commander” and he praised Julani’s organization. Al Nusrah was a public branch of al Qaeda until July 2016, when it was rebranded as Jabhat Fath al Sham. The group then merged with other organizations to form Hay’at Tahrir al Sham (HTS) in January 2016. HTS has suffered from internal rivalries and heated ideological disagreements since its founding, with a few of Julani’s detractors claiming that he had overstepped his bounds and left al Qaeda’s ranks without permission. Al Qaeda’s senior leadership has not leveled that grave charge against Julani, at least not publicly. Hamza neither criticizes, nor praises Julani in his new message. And while HTS has its share of problems, including some high-profile recent defections, the group is still the largest in northwestern Syria. 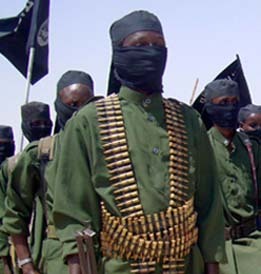 Hamza does not address any of the specific problems the jihadists have encountered. Instead, he offers general advice, some of which may refer to the debates that have taken place within the jihadists’ ranks and the problems they have faced. 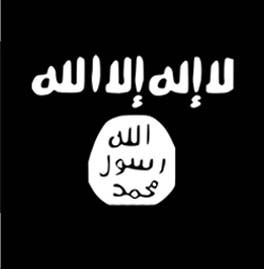 Some jihadists have been especially concerned about being designated as terrorists by the US and other nations. Hamza says this shouldn’t be a concern. Osama’s heir also advises the jihadists to “[s]tick to the guidance of scholars and the Shuyukh of Jihad who want the best for you.” The comment is interesting, given that a few senior ideologues have recently resigned from HTS. Hamza adds that “every word spoken in support of the cause of Shām is not an ordinary word,” but instead “a source of reward in the Hereafter.” Even a “truthful tweet” could lead one down this divine path, according to Osama’s son. 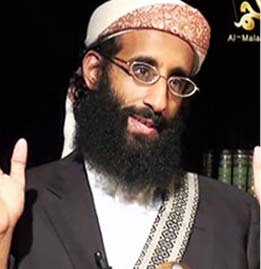 Hamza has been given a prominent role in al Qaeda’s propaganda since Aug. 2015. His messages are usually distributed in Arabic with an English translation, thereby guaranteeing a wider audience. His latest statement was no exception, as both Arabic and English transcripts were posted online. kill this hamza terrorist also. kill them all hezbollah, hamas, isis. all these people teach children at a very young age too kill. while the world looks the other way. take a good look at hamas and what they do to there children and the world just looks over it all like its ok. God Bless The USA and God Bless Israel and Jerusalem is Israels Capital. A good start would be for the UK citizens to arrest and execute Khan. Unfortunately, they do not have the balls to do so. I wonder if the comment on “those who have transgressed” might suggest ISIS/ ISIL/ IS/ Da’esh adherents? where is Hamza located and why can’t we take him out? Eh!! So, the Little Cockroach, Hamza, is getting his voice. Be care Little One that the Drone does NOT hear you. Move him up on the targeting list.